The school's history began in 1864 so there is much to write about. Fortunately a previous Headteacher, Mr George E Taylor documented the first 100 years for the school's centenary celebrations in 1964. A copy of Mr Taylor's document can be seen by clicking HERE. The school history since 1964 is less well documented so we have had to use photographs and memories to record it. 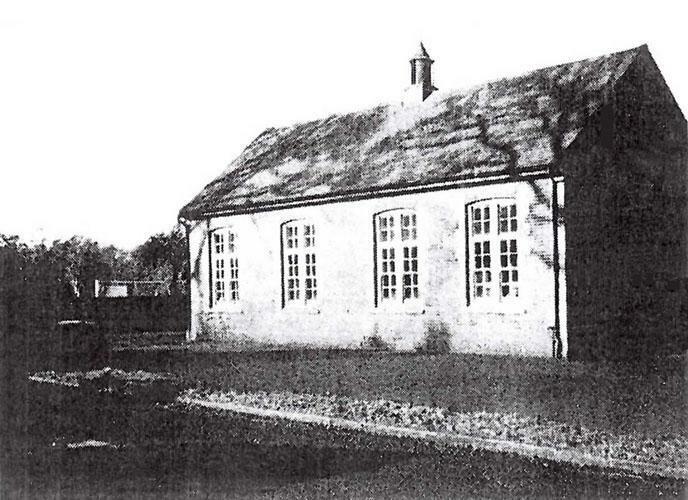 The photograph on the left is dated 1965 and shows the school house next to the school building. 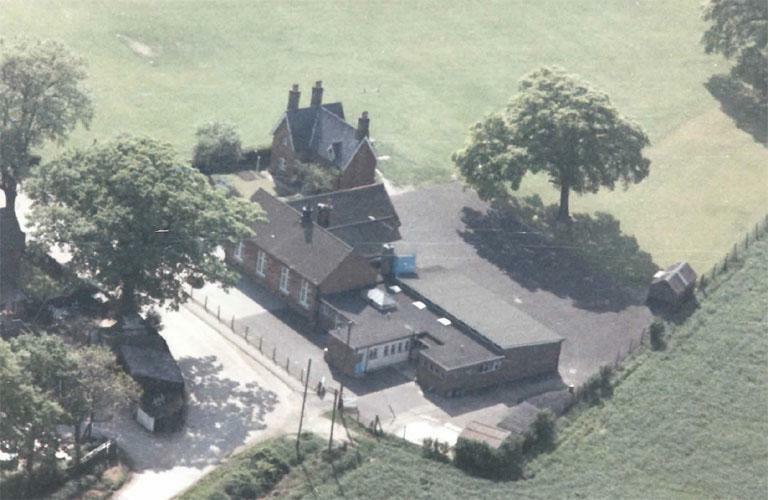 The photo on the right is undated and shows that the school house has been demolished to make way for the new school hall. 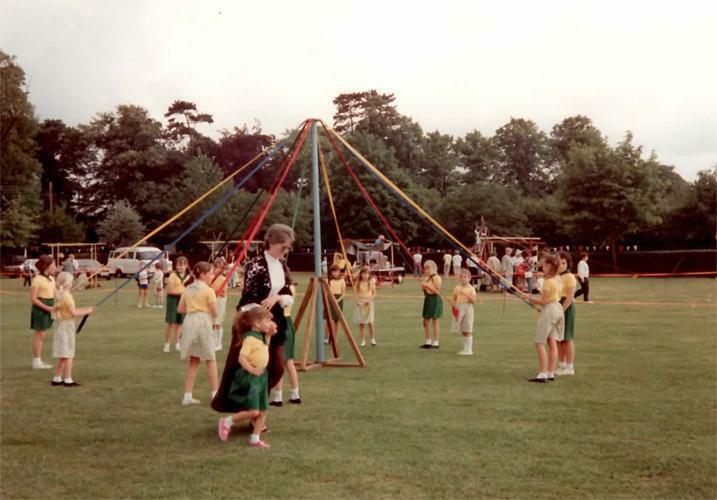 The photo on the left shows ex-headteacher Mrs Muir helping dancers at the 1989 school fete. In that year the 125th anniversary of the school was celebrated with a service at St Paul's church followed by tea at the school. Pupils and staff, both old and current, were invited. There is a gap in the information available during the next period but in 2005/6 more work was carried out to remove the now unused school kitchen and replace it with a new staff room. The previous staff room became the school office, the old school office became the Headteacher's room and the previous Headteacher's room became the pupils' teaching kitchen. 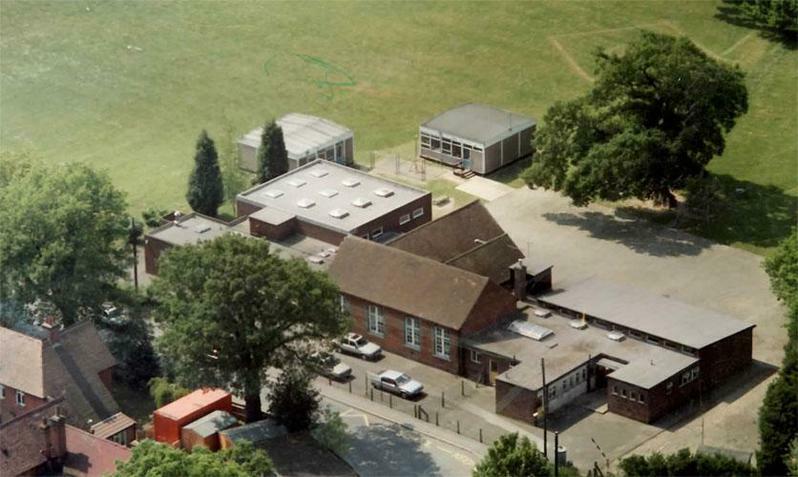 In 2007 a new reception classroom was built and classrooms 1 and 2 were extended. The requirement for a new reception classroom had been stated in a previous Ofsted inspection report and in 2008 a new Ofsted inspection graded the school as OUTSTANDING. Since then, the school has added a second ICT room, an all-weather sports pitch and some additional rooms for small-group teaching. A full inspection by Ofsted was in November 2013 when the school was graded GOOD in all areas. Following a government requirement that schools provide school meals to their infant pupils, a new school kitchen was installed in 2014.